Come Get to Know Us !!! The Rotary Club of Evergreen is located in scenic Evergreen, Colorado about 20 minutes west of Denver in the foothills of the Rockies. Founded in 1985, our club has over 100 active and fun-loving members who come from all walks of life and provide a diverse range of viewpoints. Many of our members have founded or served key roles in other non-profits in the community and around the world. We, quite literally, live the Rotary motto of “Service above Self” in everything we do. We are proud of this record and believe our Club to be one of the very best anywhere in the world. Please click on the About Us section of the menu to learn more about our club. The Month at a Glance! Also check the Evergreen Rotary Calendar, the District 5450 Calendar, the Downtown Evergreen Calendar, and the Evergreen Chamber Calendar for upcoming events. Evergreen Rotarians, Ted Ning, Jim Kreider, Richard and Susan Toussaint, and Al Steger, were joined by former members, Bob and Brenda Hagerman and Conifer Rotarian, Pat Hagan, on a visit to rural Guatemala to see firsthand the work being done under our first ever global grant. The $162,125 grant, Young Mayan Women as Engines of Economic Growth in Guatemala through Empowerment and Education, is being carried out with the assistance of MAIA-Impact, formerly Starfish One-by-One. The grant is about half completed. The Rotarians received a briefing on the grant from administrators at the MAIA Impact school, the implementing partner. They also met with Rotarians from the Rotary eClub of Lake Atitlan to discuss reporting and oversight procedures. We are happy to report that the grant is proceeding on schedule and reporting is up to date. The next steps are completion of the mid term report followed by an on-site review by The Rotary Foundation. These have been requested but are not yet scheduled. All work on the grant is expected to be completed by October. How does a life changing project of Rotary “Service Above Self” begin? 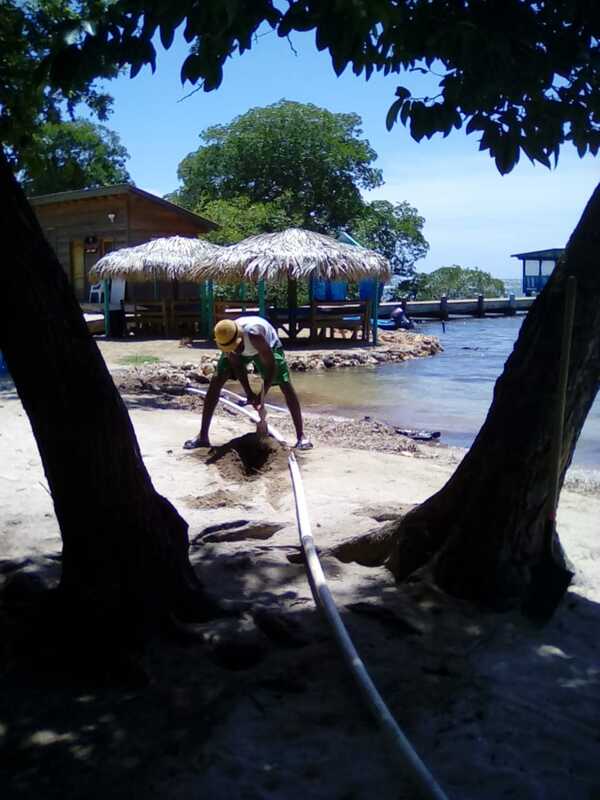 For Bob and Carol Rose, it was a service trip, teaching English in the Bay Island of Honduras in 2015. The couple was overwhelmed by the isolation and lack of opportunities on St. Helene. After arriving home, they consulted with several experienced fellow ERC members and were advised to first listen and learn from St. Helene’s community members. They were warned that development ultimately fails when you don’t take this first step. Bob went back to school and received a certification in Community Development. The islanders had begun a new leadership group called “The St. Helene Progressive Movement,” or “Patronato.” Through trainings sponsored by Evergreen Rotary Club, community members identified their needs, challenges and strengths in the areas of water, power, education, health and economic development. Want to do something special to boost your business while helping Rotary at the same time? Then we have a deal for you. You can become a sponsor of the Rotary Club of Evergreen for only $1,200 per year (or $105 p.m. on your credit card). 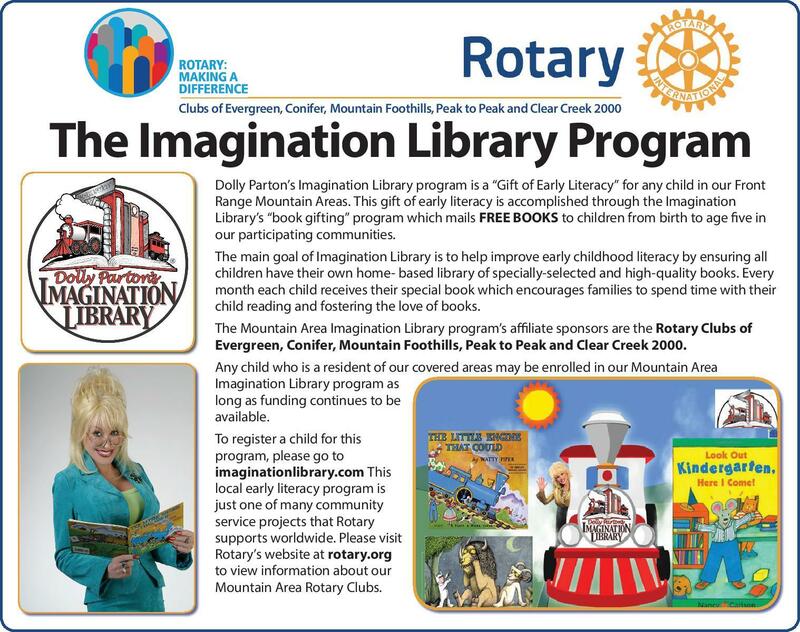 You, and thousands of others in the Evergreen area, will see your business logo each month in Rotary’s color ad in the Canyon Courier (click here), in the Chamber’s monthly newsletter, as well as on the Club’s website, event signs and banners, and tabletop displays at each meeting. More importantly, your sponsorship funds will support all of Rotary’s charitable initiatives and programs throughout the year. For more information, contact Tim Grace at tim.grace@n2pub.com, or cell: 305-926-5894.